This is the first year the Easter bunny has not left baskets for the ummm….”kids”. Their American grandparents had started the tradition of including Peeps in their Easter baskets more than 20 years ago. That is a lot of Peeps over the years! 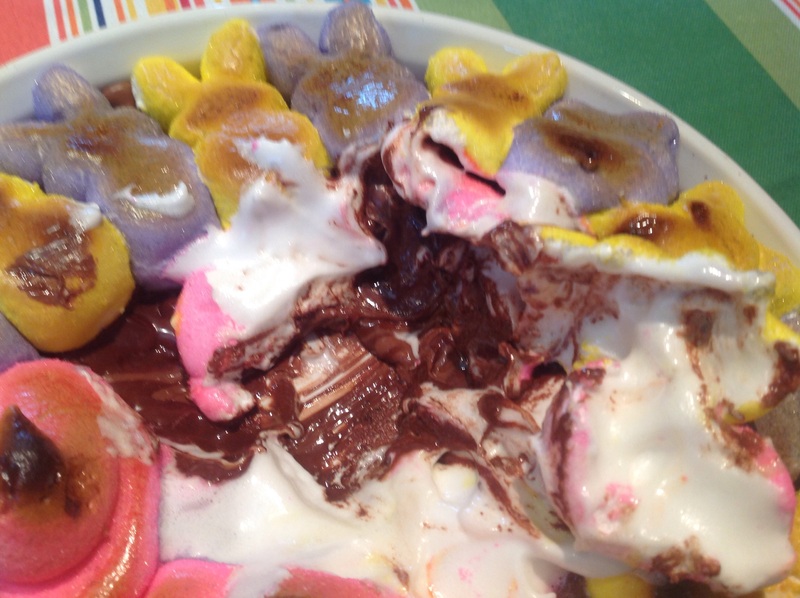 Now I can’t quite imagine Easter without this marshmallow confection. 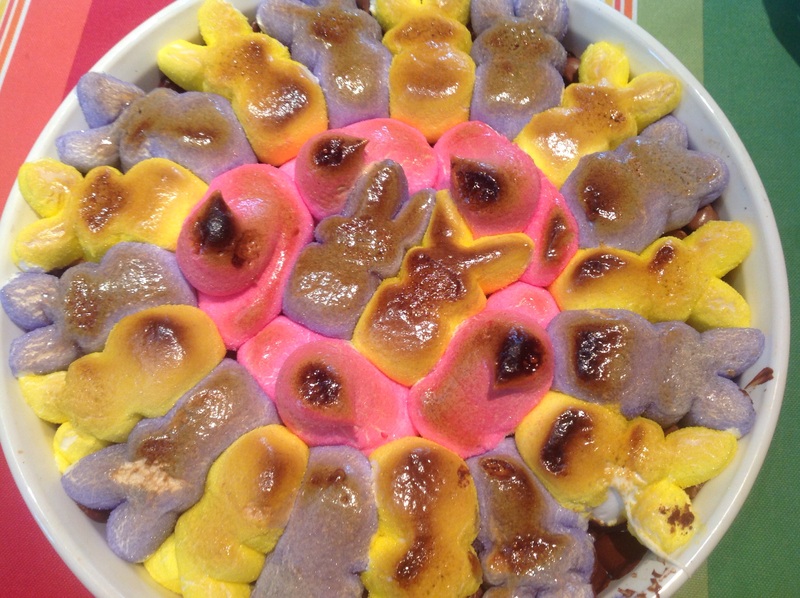 So when I found Jessica Merchant’s hilarious post about this recipe, I knew it would be a fun way to still have Peeps at Easter. It takes all of 5 minutes to assemble and 5 minutes to bake. 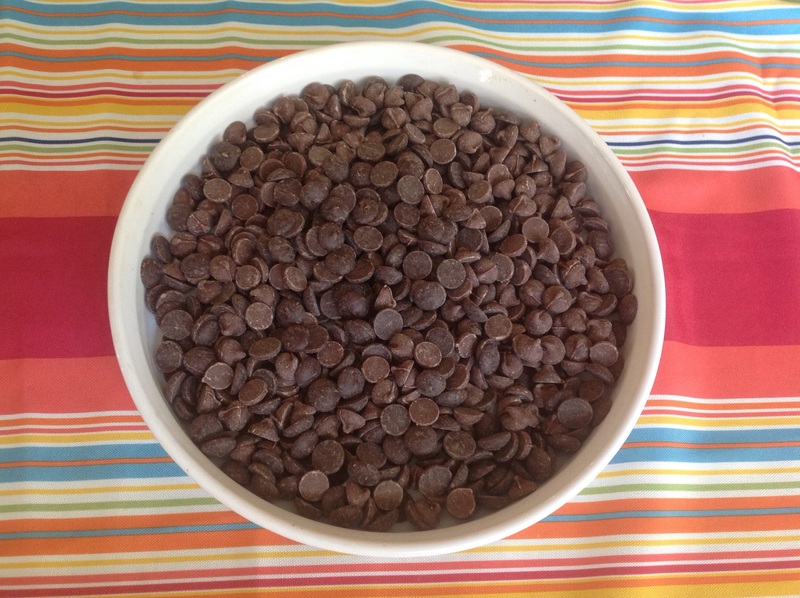 Essentially you dump 3 cups of chocolate chips( I used a mix of milk and dark chocolate) in an oven proof round shallow dish. 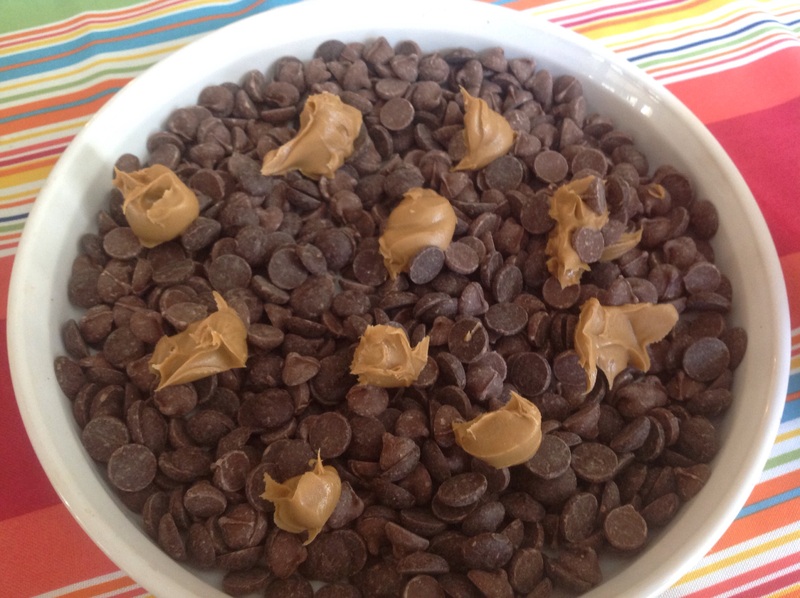 Dot the chocolate with about 1/2 cup of smooth peanut butter. 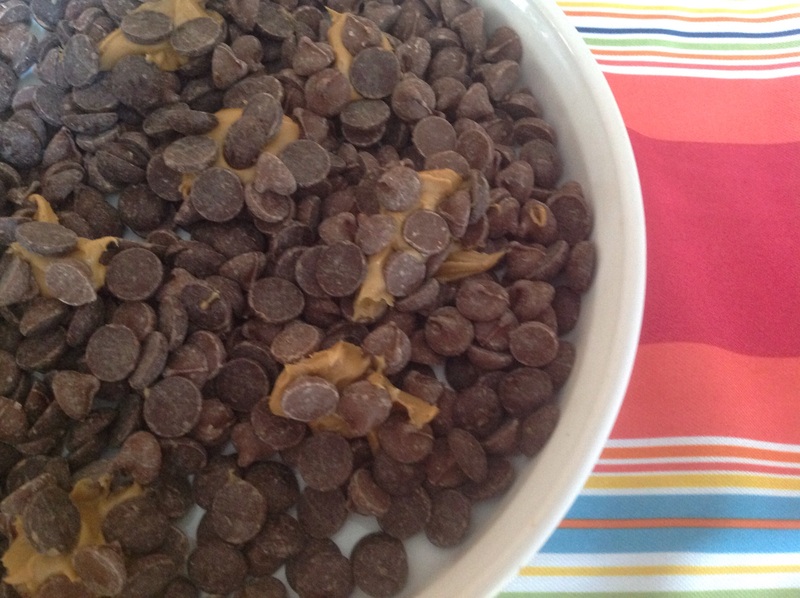 (My kids said they would have liked more peanut butter so I would increase it to 3/4 cup next time.) Place as many Peeps bunnies and chicks as you can squeeze on top. Stick under the broiler for 1-2 minutes, carefully watching so you don’t burn the marshmallows. Reduce the oven to 350F and leave the dish for a couple more minutes until the chocolate is melted. Grab your Graham crackers and dig in. Trashy, you bet. But totally awesome, even if I never want to admit I actually made this. 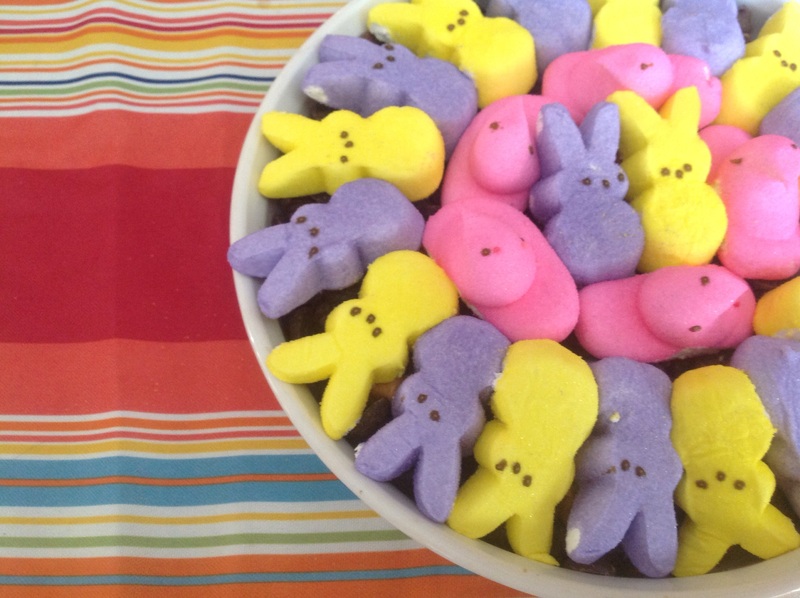 Now you know what to do with those leftover Peeps! 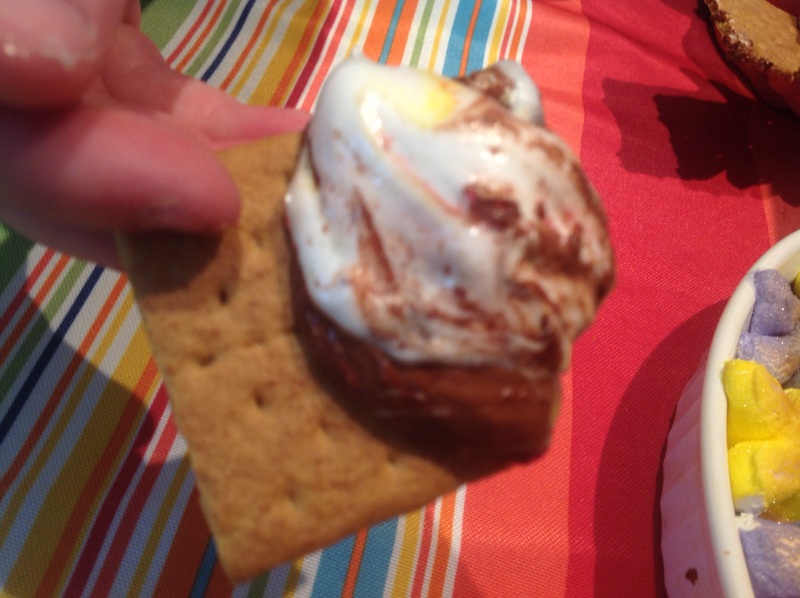 This entry was posted in Recipes and tagged Oven baked S'Mores made with Peeps marshmallows by Johanne Lamarche. Bookmark the permalink. This is so much fun…and I would love this. 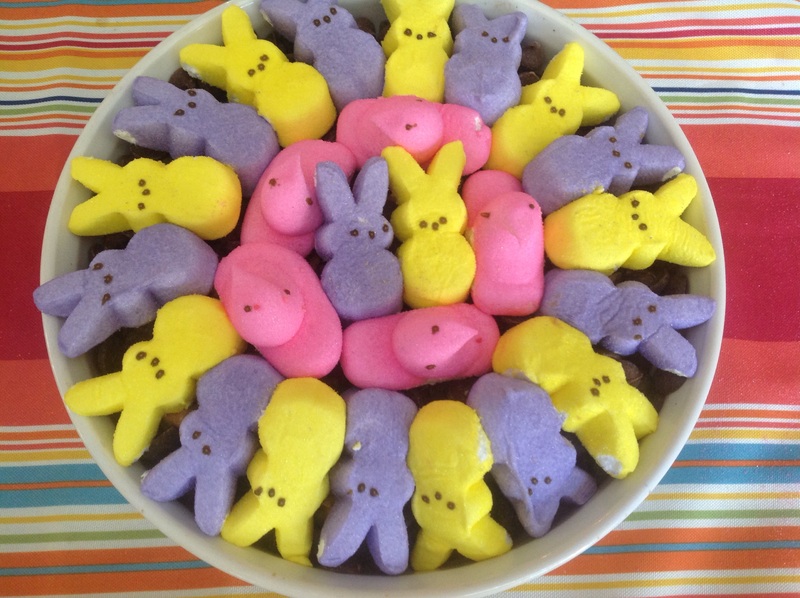 Once a year is perfect for a peep indulgence and you have come up with the ultimate recipe for this year. Wonderful colors. Not gonna lie…it was really good!!!! Hope you had a nice Easter Teresa. They are also a good stand in for marshmallows in rice Krispy treats! Never tried them in rice cirspy treats but they would work there too. I was surprised at how well they melted! It was in a decadent and fun way!